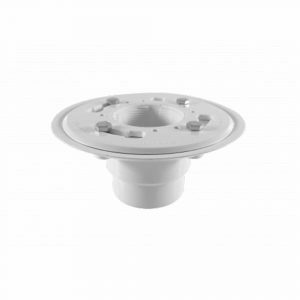 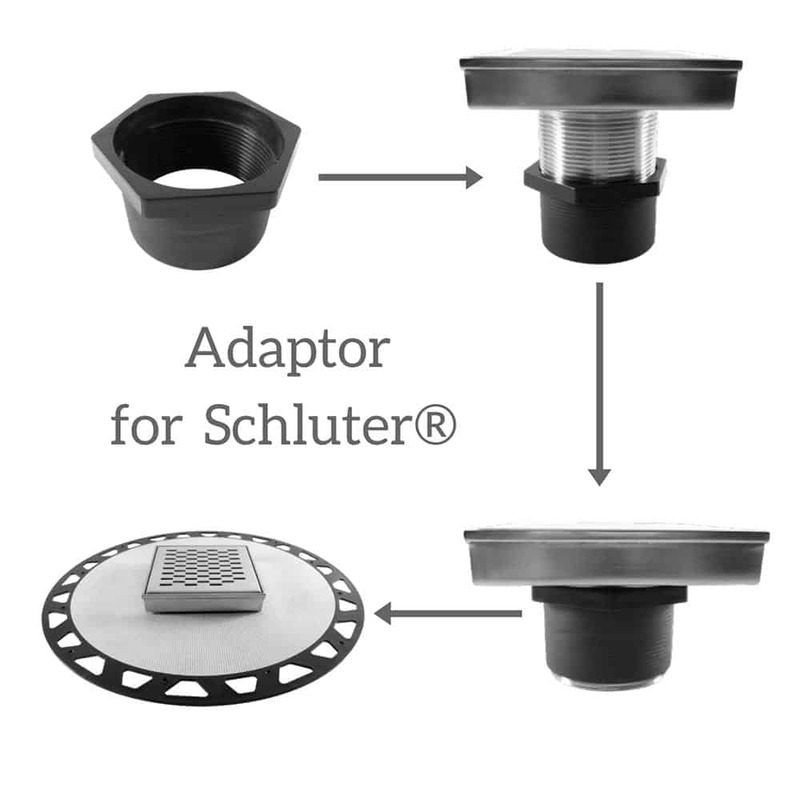 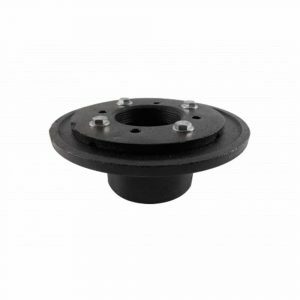 QM Drain Adaptor allows you to use QM Drains instead of Schluter® or Wedi® Drain Grate when using their integrated bonding flange or waterproofing shower systems. 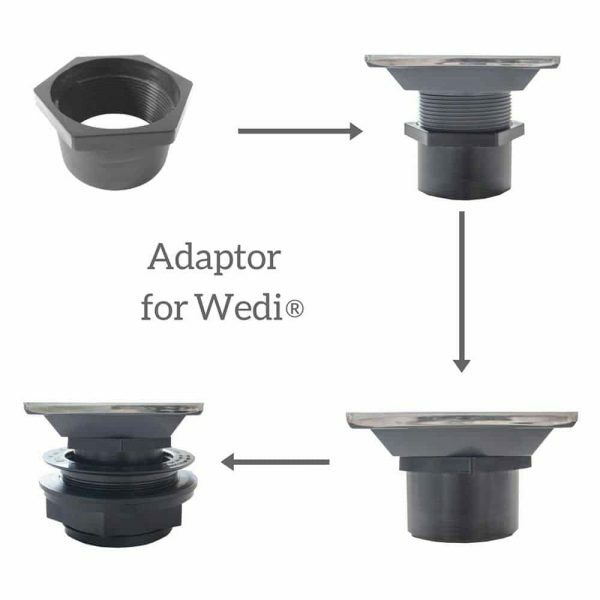 It is simple, just thread the adaptor into QM Drain and install following Schluter®-Shower System Installation instructions for the use of KERDI-DRAIN in shower or Wedi® Shower System with the use of their Fundo Drain unit. 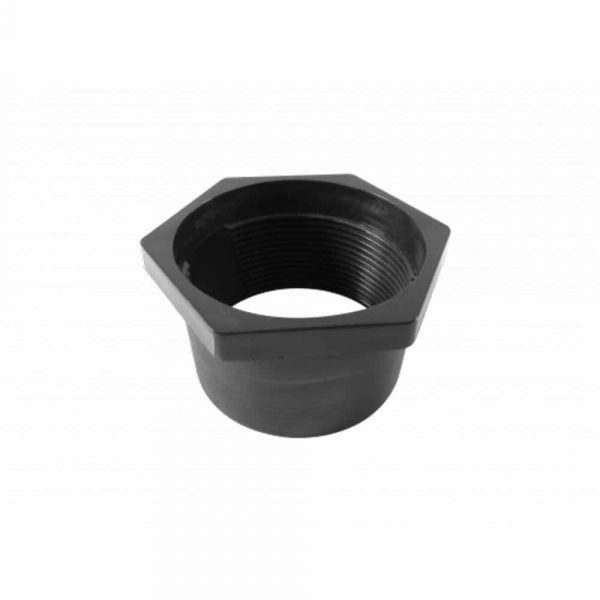 An advantage of using QM Drain adaptor is that it allows you to adjust the height of the grate as need it for the tile during installation.